If you are ready for an incredible experience in koi pond keeping and water gardening The POND HUNTER Package is your final destination. 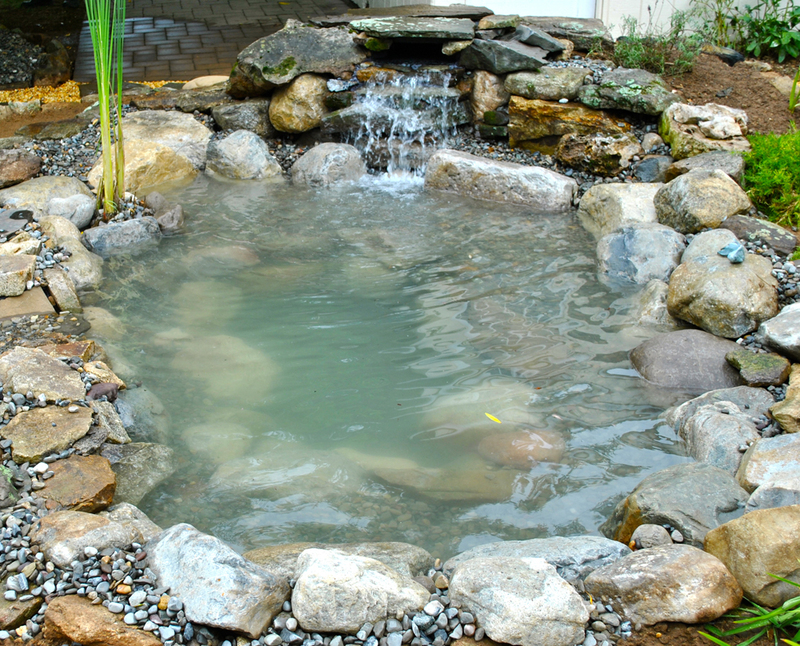 You can really have it ALL with this pond package at an amazingly low price. Let The Pond Hunter himself loose to create a pond that will simply amaze you. Large dimensions, depths down to 3 feet, multi-tier waterfalls, pooling areas, submersible lighting, aquatic plants, koi and fish tunnels and caves, awesome professional grade equipment, beautiful rockwork, and all of this with a 5 year guarantee of workmanship, and lifetime support! The POND HUNTER Package is really a pond keepers dream come true. Are you ready to experience this too? 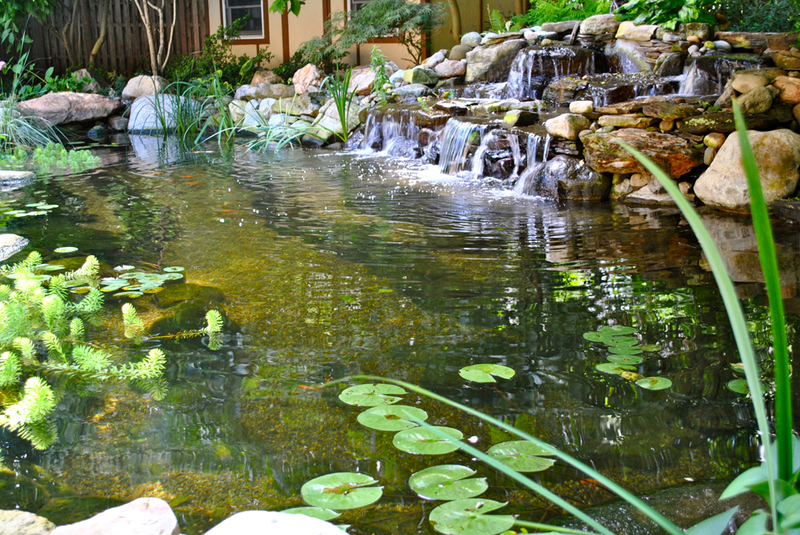 The KOI MASTER pond installation package will have you up to your elbows in water gardening bliss, literally. The pond experts at FULL SERVICE AQUATICS & LANDSCAPE have developed this koi pond water garden pond package for the pond keeper who has been there and done that with the smaller ponds, or the customer who wants to jump right into the master game, and with this pond installation package you can actually do just that, go ahead.. jump in, swim with the fishes and live to tell about it! This pond package has a koi tunnel or a koi cave, your choice, built right into it for your fish to swim through and play. The expanded submersible lighting system will showcase this pond well into the evening hours. The large multi cascade waterfall, with mini pooling area for additional plantings, will turn even Mother Natures head! Maybe you have a little more room or more desire to have a lot more pond fish and aquatic plants for you to spend your afternoons and weekends relaxing with. Sounds like you might want to step up to the BULLFROG!! 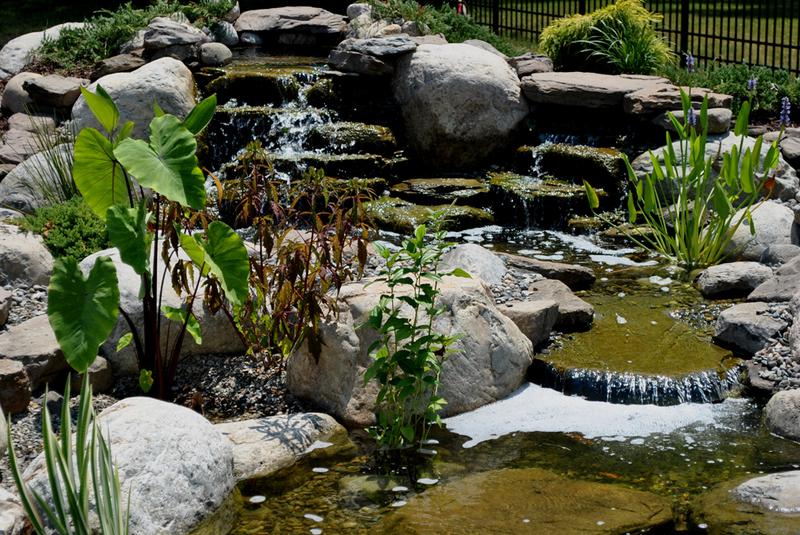 The BULLFROG is accented with a 2 tier waterfall design feeding into the body of the pond. This pond package will give the pond owner plenty of room for a large variety of pond fish and it’s a great way to get started with koi. 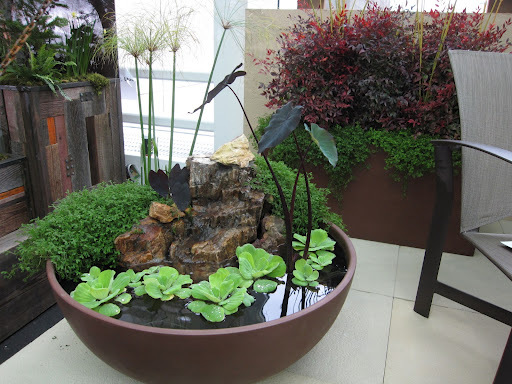 Aquatic plants will thrive not only in your pond but there is enough room in the waterfall to have those lush green aquatic plants growing from places you’d only dream of. This pond installation package comes with an upgraded pumping system, skimmer box and biofalls filtration system, and enhanced submersible lighting package to light the nights. Enjoyment abounds with this professionally installed small pond package which is complimented by the sights and sounds of a beautiful waterfall design right up against the edge of the pond, submersible pond lighting is included to highlight your water feature during those long evening hours, as well as an aquatic plant to get your water garden under way. This pond size is great for those who may not have a large area to put a water feature, or who just want to “get their feet wet” in the water garden lifestyle. This pond installation is large enough to keep a nice variety of aquatic plants and pond fish all year round without worrying about bringing your fish indoors to over winter. This pond installation is well equipped with a professional grade pond skimmer, biofalls filtration system, and components. Like all FULL SERVICE AQUATICS AND LANDSCAPE water feature installations it is low maintenance and can run year round without any shutdown period. If you’re looking to get started in pond keeping or maybe you don’t have a lot of space to use then the Tadpole Package is designed just for you! At 12” deep, this 4’ by 6’ pond will give you all the enjoyment of water gardening and fishkeeping at a size and price that is easy to handle. All the equipment and materials are professional grade. 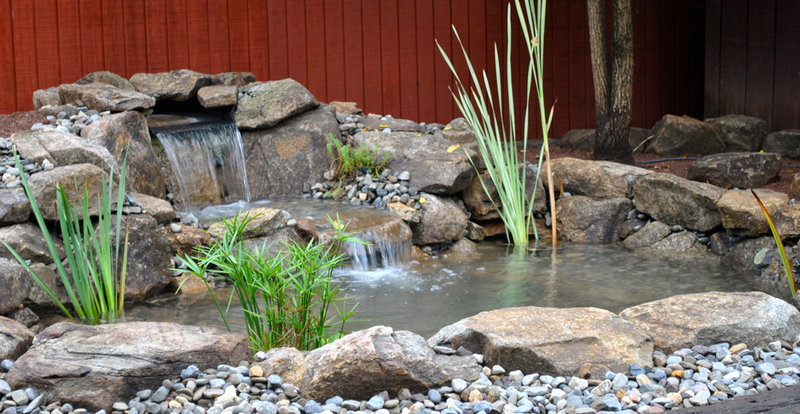 Enjoy the sights and sounds of a tranquil water garden pond that is easy to care for even for the beginner pond keeper. 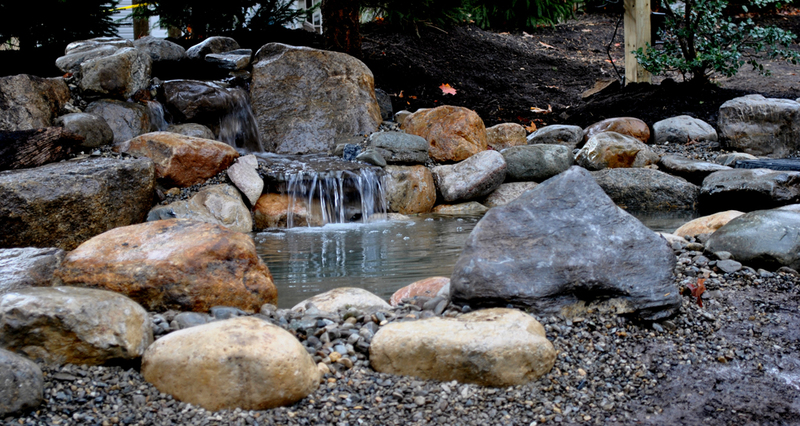 Interested in building a PONDLESS WATERFALL? Enjoy all the sights and sounds of a cascading waterfall without the pond. 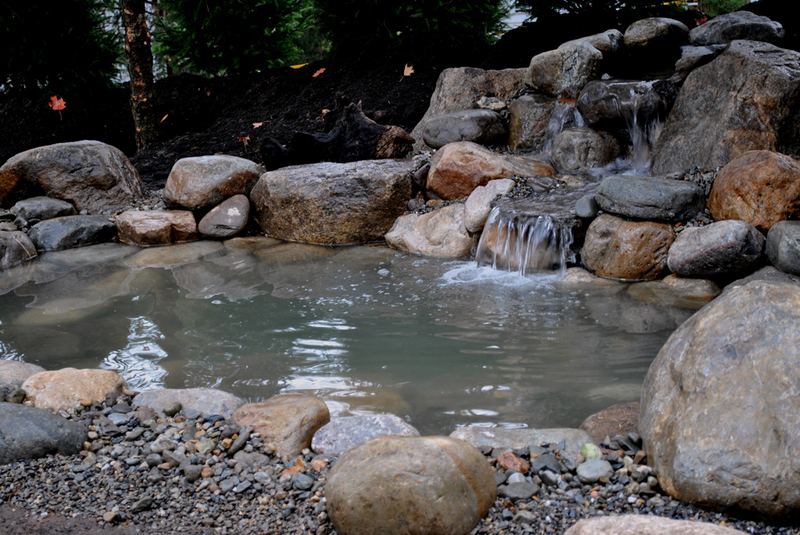 In New Jersey pondless waterfalls are a great way to transform a slope or hillside on your property. If space is limited a pondless waterfall is perfect.Pondless waterfalls are a great option for commercial properties and HOA entrances. 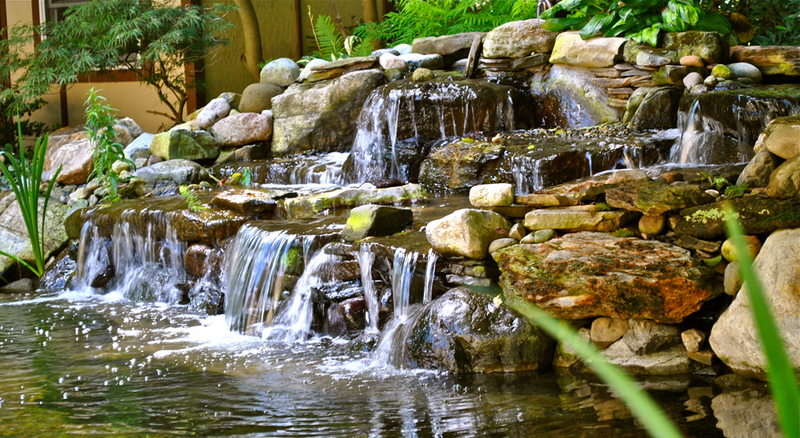 FULL SERVICE AQUATICS, LLC., New Jersey’s waterfall construction experts can build it! Large scale, small scale, residential, and commercial waterfall creations. Have a small space? 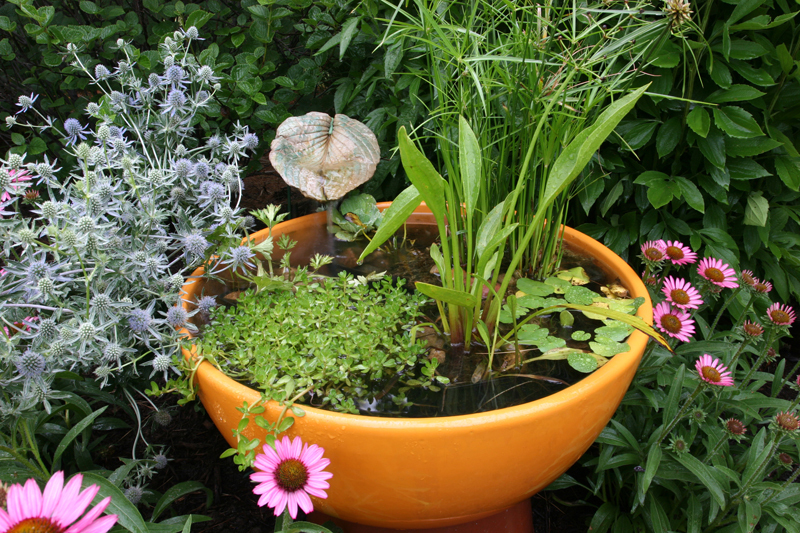 How about a patio water garden pond! 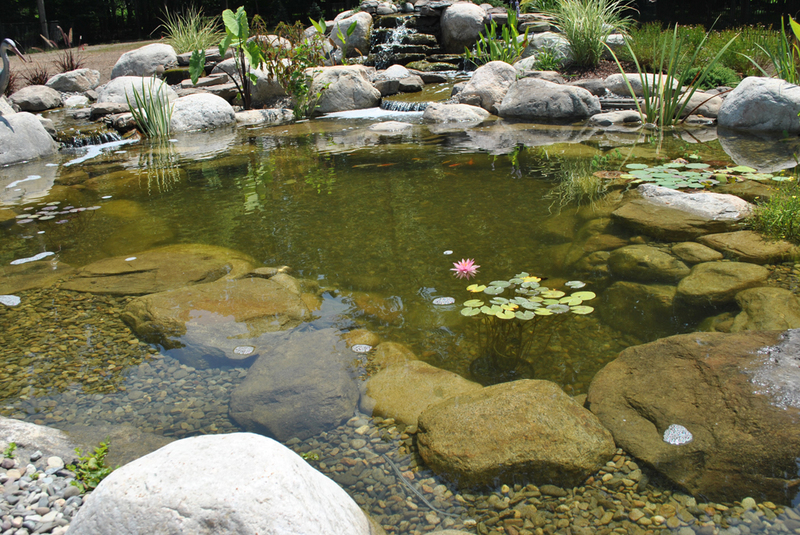 The patio pond can go anywhere, comes with a variety of beautiful aquatic plants, requires little maintenance, and is an inexpensive way to enjoy a water garden or add that “wow!” factor to your outdoor living area. Also makes a great gift for the pond enthusiast of any experience level.